The KZN Premier’s Cup has been revived. This prestigious event which has the PSL and NFD teams from the Province participating in a Knockout Tournament has not taken place since 2011. This comes after a call by the Premier for steps to be taken to improve football in the Province, after he had raised concerns about the state of football in KZN. The Tournament is organised by the Provincial Department of Sports and Recreation and will be held in Richards Bay on the 01st and 2nd of August 2015. The official launch and draw took place at the Protea Hotel Waterfront in Richards Bay on Tuesday the 28th of July 2015. 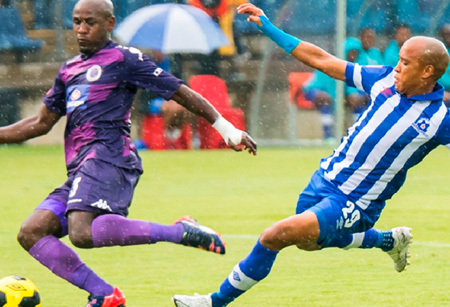 The participating teams are Maritzburg United and Golden Arrow, who are both in the PSL, as well as AmaZulu, Thanda Royal Zulu and Royal Eagles who are all in the National First Division. The games start on Saturday the 1st of August with Thanda and Eagles fighting for a position in the semi-finals the next day. The first semi-final at 9am on Sunday is between Maritzburg United and Golden Arrows, and the second one at 11.30am is between Amazulu and the winner of the qualifier between Eagles and Thanda with The final kicking off at 2.30pm. There are two free busses that have been organised for Supporters to attend the games on Sunday and these will leave from the A.B.Jackson Fields opposite Harry Gwala Stadium at 6am on Sunday. Entry tickets will be received upon boarding the busses. People are requested to keep to time in order to make it for the first semi final in Richards Bay.